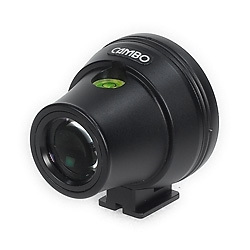 Cambo's WDS-580 Viewfinder is designed for use with a WideAngle camera, such as the WideDS, Wide RS or Wide Compact. 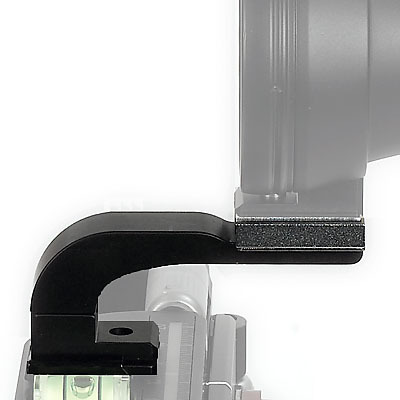 The viewfinder mounts on an accessory shoe and has a build-in spirit level to assist with handheld shooting. 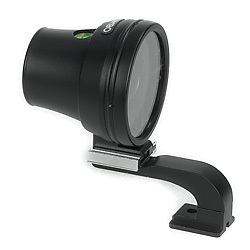 An extension bracket is included and helps to bring the viewfinder closer to the eye, stretching over the digital back. It offers a 120 degrees viewing angle, so that masks can be used to show the correct frame as combination of choosen image size and focal length. 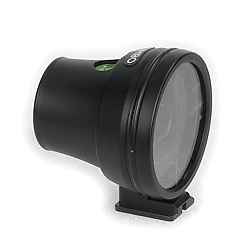 For Digital use masks are based on the available focal length in combination with both 40x55 and 37x49/36x48mm CCD area. 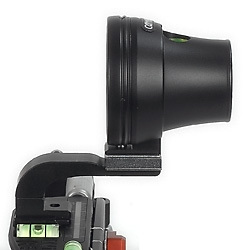 The masks have a millimeter scale for indicating image displacement in relation to the camera shifts. 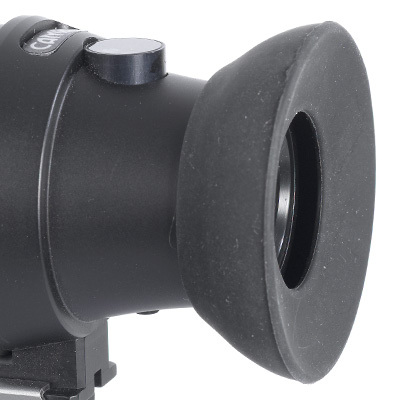 An optional 35mm mask is mounted to the WDS-580 in the shown images. 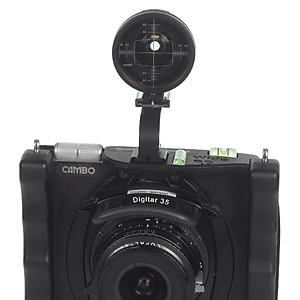 The mask rotates while mounted on the viewfinder for switching between Landscape and Portrait position shooting. 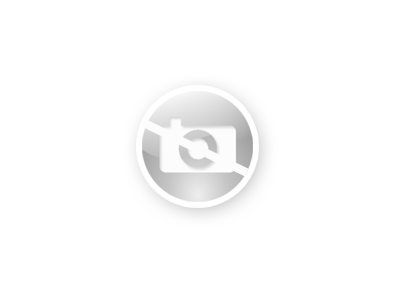 For Analog use individual masks are available for film sizes from 6x7, 6x9, 6x12 and 4x5" per focal length. WDS-734 Mask 38mm / 4x5"
WDS-744 Mask 47mm / 4x5"
WDS-754 Mask 58mm / 4x5"
WDS-774 Mask 72mm / 4x5"
WDS-794 Mask 90mm / 4x5"
WDS-814 Mask 150mm / 4x5"